The dark, daunting role of Lady Macbeth requires a great singing actress to bring to life everything Verdi—and Shakespeare—wrote. Shortly before this broadcast, the Viennese soprano Leonie Rysanek made her Met debut in the role—and right away became a legend. The intensity of her soaring soprano and her charismatic stage presence made her a beloved favorite of the New York audience for almost 40 years. 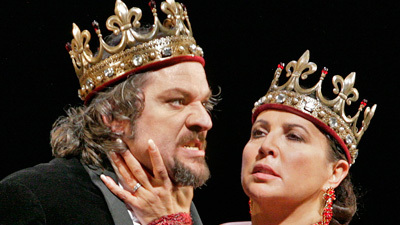 With the great Verdi baritone Leonard Warren in the title role and Carlo Bergonzi and Jerome Hines also in the cast, this Macbeth is one for the ages.